Creations by Kelstar is owned by a glass jewelry artist located in Lansing, Michigan. 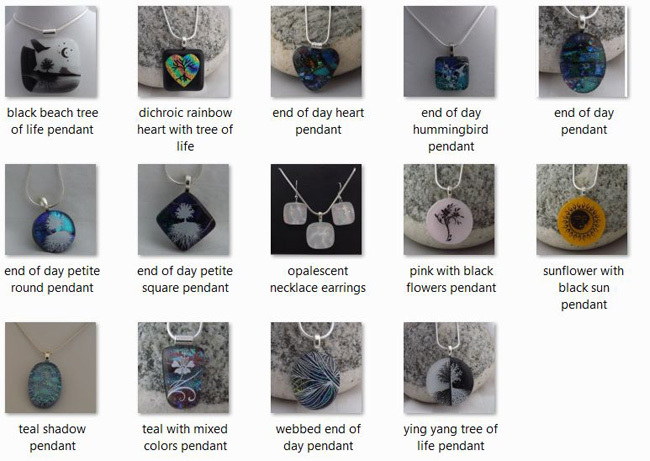 All of the glass pendants are handmade in Kelly’s studio by her personally. Creations by Kelstar are handmade fused glass pendants in a variety of colors, shapes, sizes, and detailed stenciling. A variety of different glasses, decals, and shapes are used to create unique pendants. Working with dichroic glass and stencils allows the artisan to replicate some pieces. The pendants that can be reproduced are not identical – due to the process in which the glass is fused, there will be slight variations.